Browse through the many pages of listings on Reverb, and you’ll be met with thousands of pieces of gear from all over the world. In just a series of clicks, you can go from scrolling through Eurorack modules listed by a hobbyist in Ohio to checking out the vintage guitars lining the walls of one of London’s famed Denmark Street shops. But Reverb wouldn't be this way if it weren't for sellers and shops with international shipping policies. Since every individual seller is in charge of their own shop, whether or not you choose to ship internationally is up to you. But as Reverb continues to grow globally, the shops willing to do so are being consistently rewarded with more eyes on their listings, which often leads to quicker sales. The best part here is that international shipping isn't something to worry about, despite sounding daunting. In fact, it's not much more difficult than shipping within your own region and is a great way to ensure that your listing is being featured prominently on the site. Today, we're going to walk you through how to equip your shop for international shipping so that you can start getting more potential buyers looking at your gear. 1. Go into your shop settings. 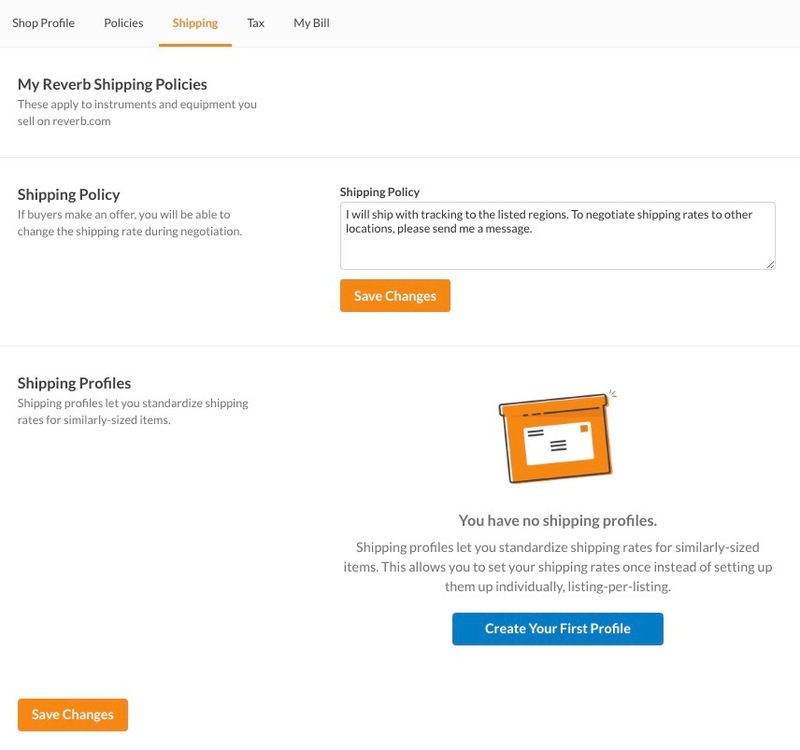 To adjust your shop's shipping policy, head into the Shipping tab of your shop settings. From here, you can choose to edit an existing shipping profile or create a new one. 2. Set up new shipping locales. 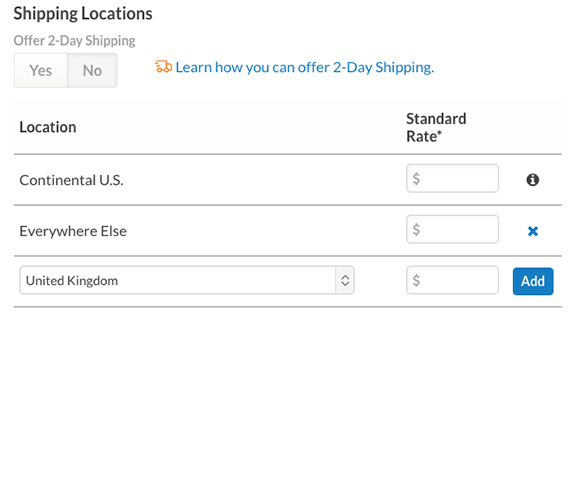 Within that shipping profile, scroll down to the Shipping Locations section. Here, you can add new shipping locations by individual country or by region (like the European Union). 3. Double check your costs. 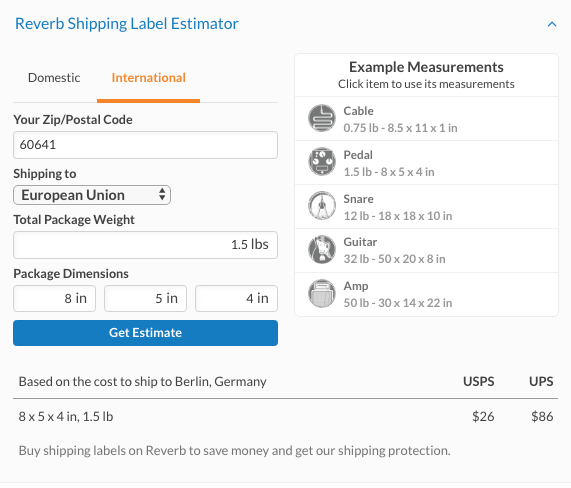 If you're not sure exactly what it's going to cost to ship your items to that locale, you can use Reverb's shipping estimator by clicking the corresponding dropdown menu. All you have to do is enter the zip code of the locale you'll be shipping from, select the country or region you're shipping to, and enter the dimensions of your package for our estimation. Due to the CITES treaty, some vintage instruments that contain restricted materials—like Brazilian rosewood or ivory—require extra paperwork and sometimes a permit for shipment overseas. You can read more about the CITES treaty here and read a primer on how obtain shipping permits here. Make sure that you communicate well with your international buyer and that they know that they're responsible for paying any taxes, duties, and customs fees on the gear they're buying. Most items are charged import duty and local tax, but it varies by country. The shipping provider collects these fees from the buyer before releasing the package. The main customs form required for your gear is a Commercial Invoice, which you can get from your shipping provider. Much of the information is straightforward, but be sure to be as detailed and as thorough as possible. If your sale was more than $2,500 in total and is being shipped to anywhere other than Canada, it will require a Electronic Export Information (EEI) form.